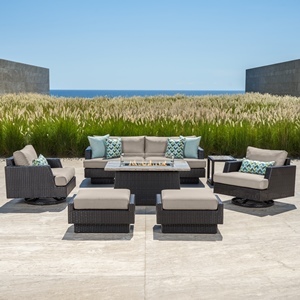 The Portofino Comfort Set of 2 Club Chairs is the perfect way to add comfort to any outdoor conversation space. 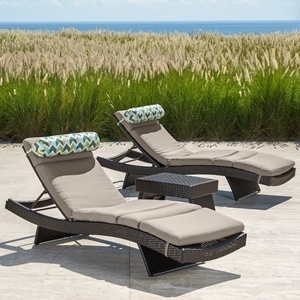 Sink into true deep seating with this ergonomic and contemporary mid-back design. 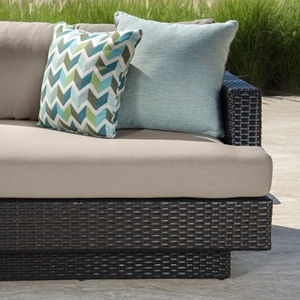 Plush five-inch thick Sunbrella wrapped cushions are engineered for outdoor use and come complete with lumbar support bolster accent pillows. Set comes complete with a two-tier side table for your drinks, magazines and more. Includes set of two (2) club chairs with matching side table. 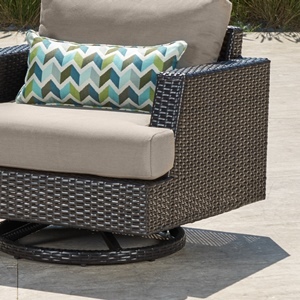 Constructed from durable SolarFast all-weather resin wicker engineered for outdoor use, hand woven over a strong and lightweight powder coated aluminum frame. 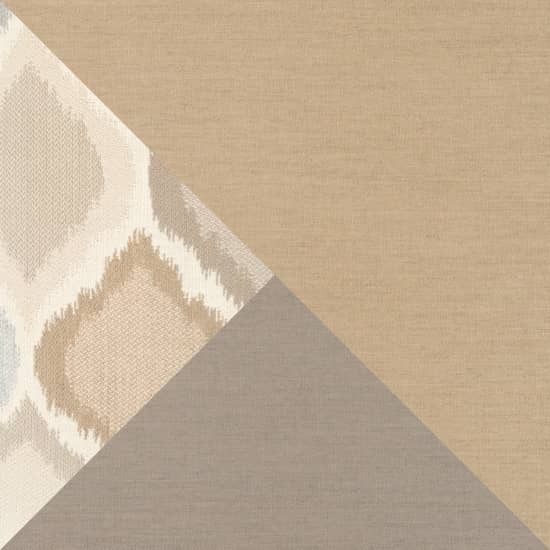 Luxurious 6 inch thick outdoor cushions in Canvas Taupe Sunbrella with 16 inches Prism Lagoon accent lumbar bolster pillows featuring rich contrast piping. Engineered high density foam cushions feature breathable mesh bottom and integrated Velcro strap system to hold cushions securely in place. UV, weather and color fast fade resistant. Holds up great in salt and chlorinated environments. Perfect for coastal living. Virtually maintenance free- simply rinse clean with a hose and mild cleanser.